Someone has said that travel the way locals do. 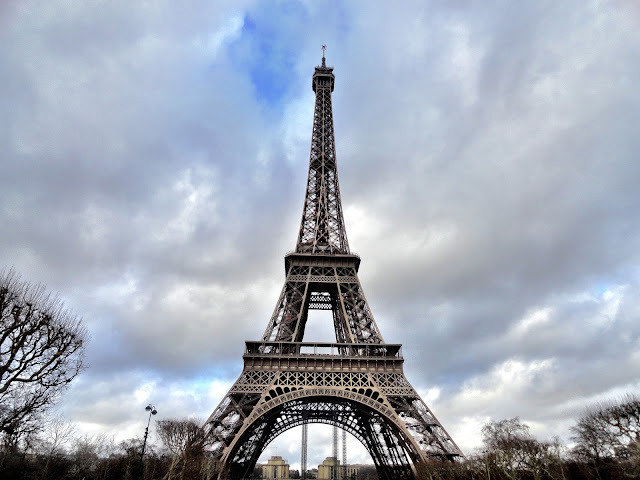 The best way to experience Paris is to travel in their local trains, eat croissants, visit the local boulangerie and walk across the streets..
Gare de l'Est, Gare du Nord, Gare Saint-Lazare, Gare d'Austerlitz, Gare de Lyon, Gare Montparnasse. We were travelling from Germany by train, so we reached the Gare du Nord station. The station was huge and bustling with crowd, it reminded me of the CST station on Mumbai. After getting down, we headed to the travel information center and get a Paris Metro Map - it is free. This map will helped during your entire journey in the city. Paris is one of the largest networks of metro trains and once we understand how to use the Metro system, we hardly need a taxi or cab to reach our destination. 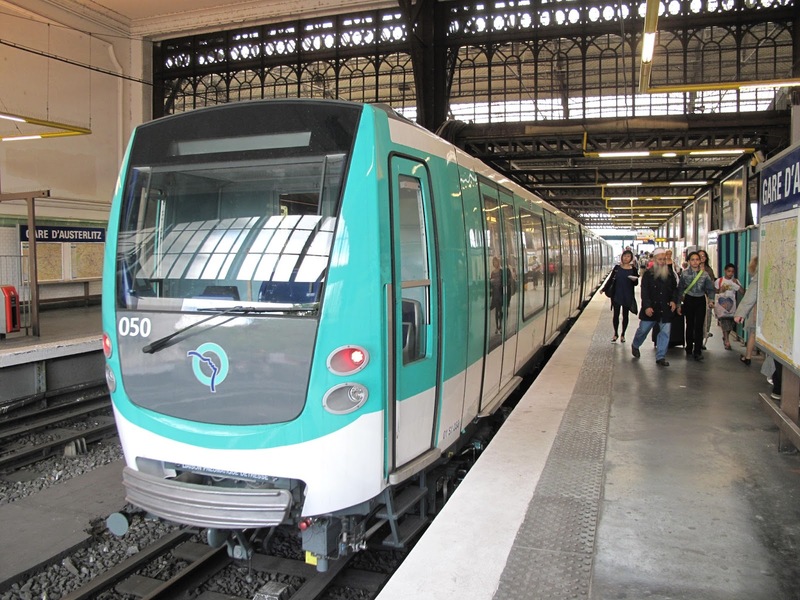 There are different types of trains - Metro is for city travel while RER is for long distance travel outside the city Metro stations are marked with an 'M' so make sure you are on the right station. ﻿﻿Tickets - The ticket you are buying depends on the Metro Zone you want to travel in. Please note- All the tourist attractions of Paris are located within Zone 1 - except the Palace of Versaillis. So you must buy the Metro ticket for Zone 1 - using this ticket, you can board any train, tram or metro within Zone 1. Each ticket can only be used once. Buying a ticket everytime may be challenging, given the language constraints and being in a new city. So I recommend buy a carnet (bunch) of 10 tickets - these are called as t+ tickets and costs around 12 Euros for a carnet. 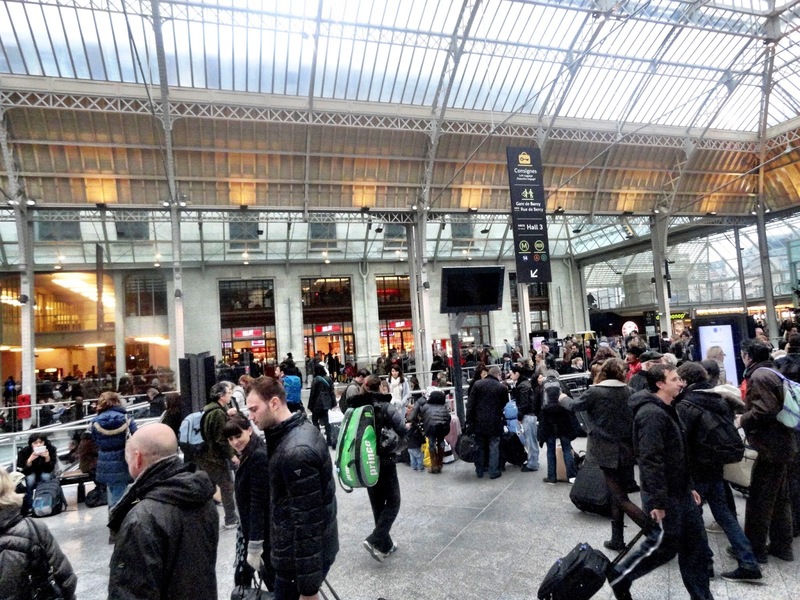 There are dedicated counters on each station to buy tickets - ask for a carnet of 10 tickets. Else you can also use the ticket vending machines to purchase tickets. Understand the Metro Map - The thick lines (A, B, C, D) are the RER Trains (these are fast), the thinner lines (1, 2, 3, 4, 5 etc.) are the metro lines. You will notice these lines will intermingle with each other, and a junction will be marked. This means, you can change your trains at these junctions. ﻿﻿For e.g. if you want to go from Gare du Nord to Louis Blanc - check the color codes and figure out which train goes there. Look at the Orange line (Metro No. M5) from Gare du Nord to Jaures. Get down at Jaures and change the train to Metro No. M7 and reach Louis Blanc. You can also ask the Travel information desk to explain you the Metro map - it is fairly easy and amazing to ride the metro. With the T+ ticket you can board the RER train as well. Eiffel Tower - Yes, the first destination when visiting to Paris is definitely Eiffel tower - one of the 7 wonders in the world. These stations are very close to Eiffel tower. When we got down at the Bir-Hakim station, we couldn't see the Eiffel tower, but most people were moving in one direction, so we decided to follow them. And within 2 mins of walking, wow, we could see the beautiful structure staring at us :) Indeed this is a world wonder!!! 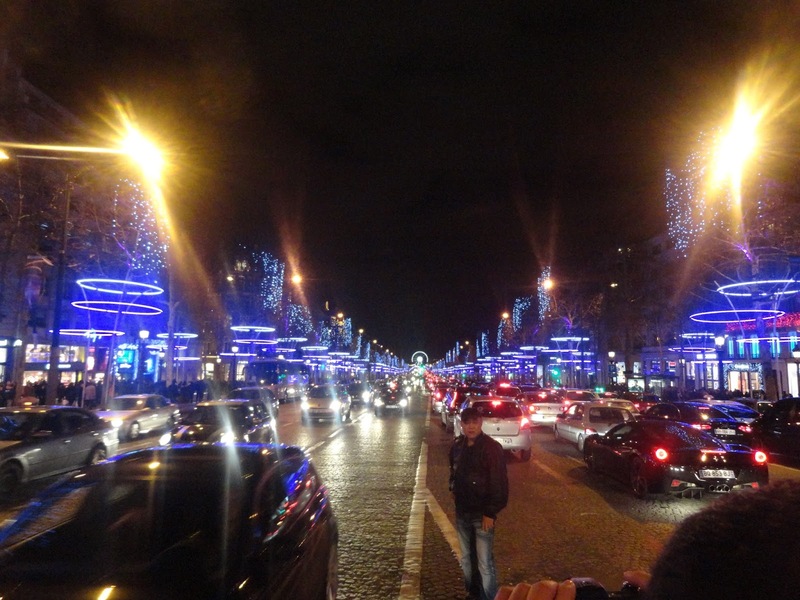 Champs-Elysees - This is the most fashionable street of Paris. 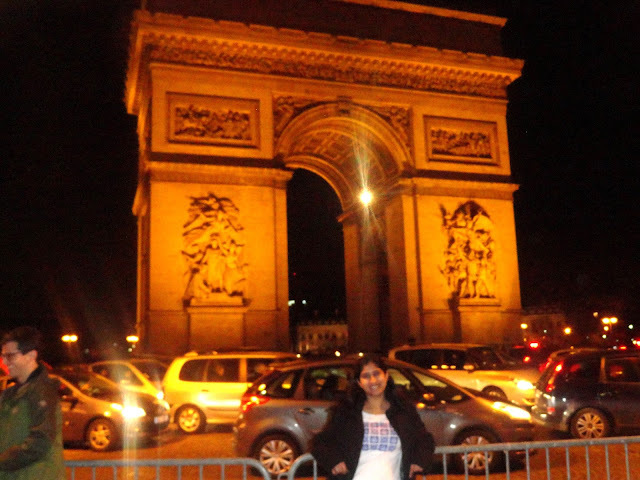 And this is just opposite to Arc de Trimph. No need to go by metro, just walk across the Arc de Triumph and you will see Louis Vuitton, Armani and so many designer stores, where you may not buy anything but would love to watch across. There is a station on the other stretch of the Champs-Elysees - Franklin D. Roosevelt‎ Station – Line M1 & M9. 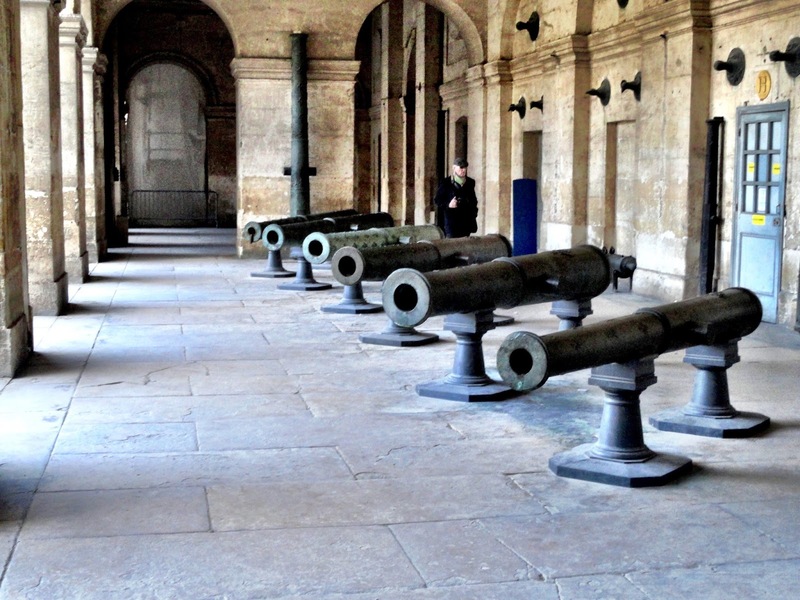 Louvre Museum - This is the museum without which the trip to Paris is incomplete. The paintings of Da Vinci, Mona Lisa, sculptures of Michelangelo. Metro Lines M1 and M7 have the Musee the Louvre station. As soon as you get down at the station, there are directions to go to Louvre museum, from subway level. Notre Dam Cathedral - We did Louvre museum in half day (although there is so much to see you cannot finish in half hour). After that we walked over by the River Seine and after a long walk we reached the Notre Dam cathedral. If you are even a bit tired in the Louvre, don't walk, its a few kms. But walking is a good way to explore Paris. On the way you will notice the Love-locks bridge and beautiful culture and stalls all along. But if you do go by Metro, Abbesses Station – Line M12. Luxemberg Gardens - These are beautiful gardens, but they get closed in the evening 7.00 or 7.30 pm I guess. We decided to walk from Notre Dam to Luxemberg gardens (we had the map from Tourist office).Unfortunately we reached at around 7.00 pm and couldn't enjoy much as it was time to close already. Metro line M8 and M13 - Station Invalides - this is very close, as soon as you come aboveground from the sub-ground station, you will see this huge building (Army museum) facing you. Sacre Coeur: Did you know that this is the most photo-shot places in Paris (even more than Eiffel tower). 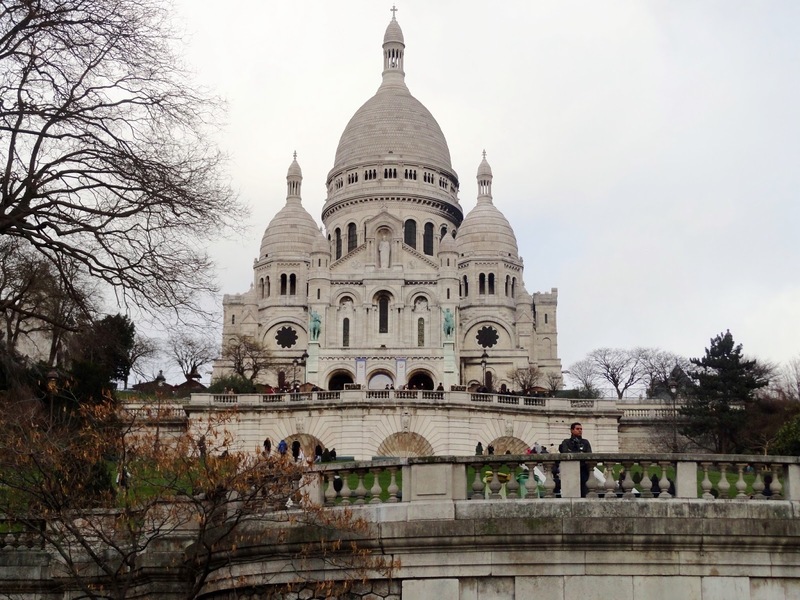 When we reached Sacre Coeur, we realized it was indeed very beautiful and photogenic. This is a beautiful church and entire Paris can be seen at our feet when we reach here. Metro trains can be very crowded on weekdays during peak hours. Beware of pick pickpokets. There is a metro train every 5-10 minutes, the doors of the train shut in a snap, so do not worry even if you miss one, there will be another train coming in 5 mins. Keep the ticket safe with you, this will be used even while exiting. The system is very similar to Delhi metro, so easy for tourists. 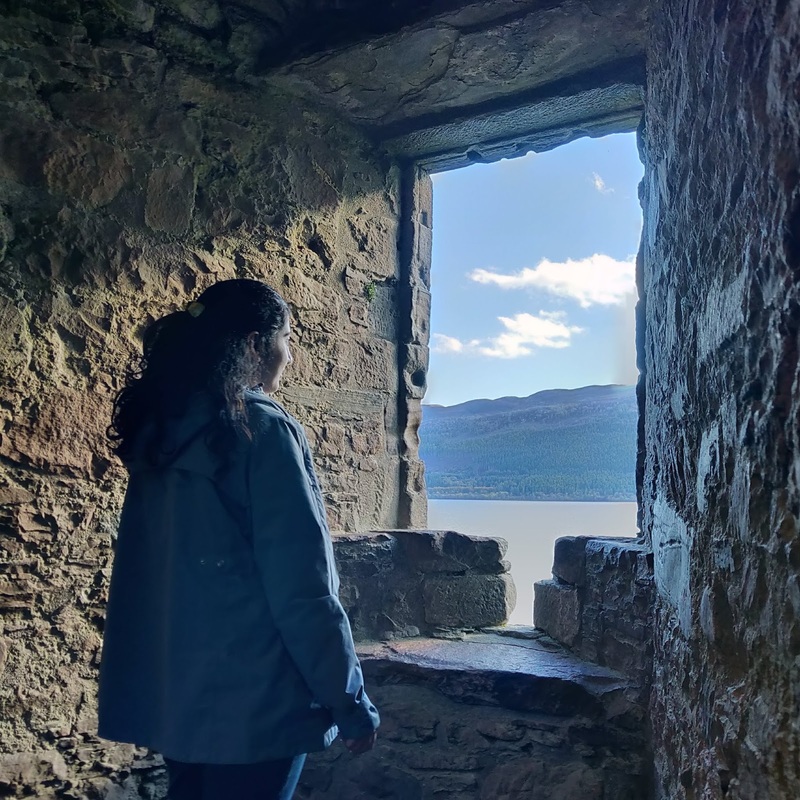 you have written a really detailed and useful post for travelers, not caring for SEO and other things which some renowned travel bloggers focus on(resulting in actual zero information for any traveler coming to the blog!) ....yes exploring a city by metro is beautiful!! I did that in hong kong in MTR and loved it!! Wonderful post! I enjoyed visiting Paris in metro. Its really convenient and easy! Well narrated Post with amazing Photographs! Nice to read, Beautiful Clicks. It is so easy to travel in cities with great metro network. For me Delhi became navigable once its Metro network was in place. 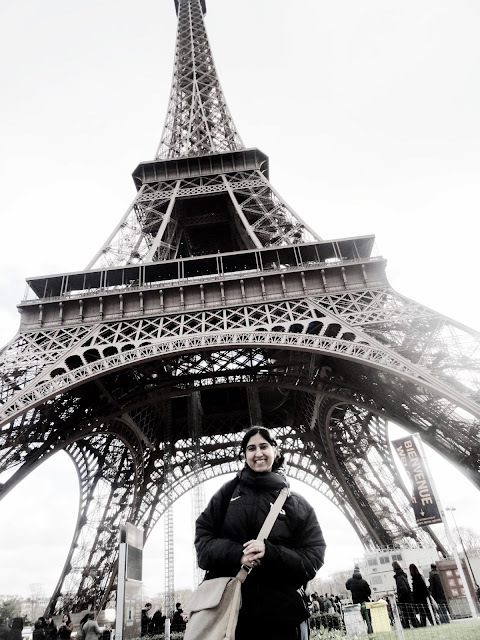 Paris is still on my wish list. Thanks Anuradha for visiting my blog :) True.. metro network is very helpful for roaming in cities !! !